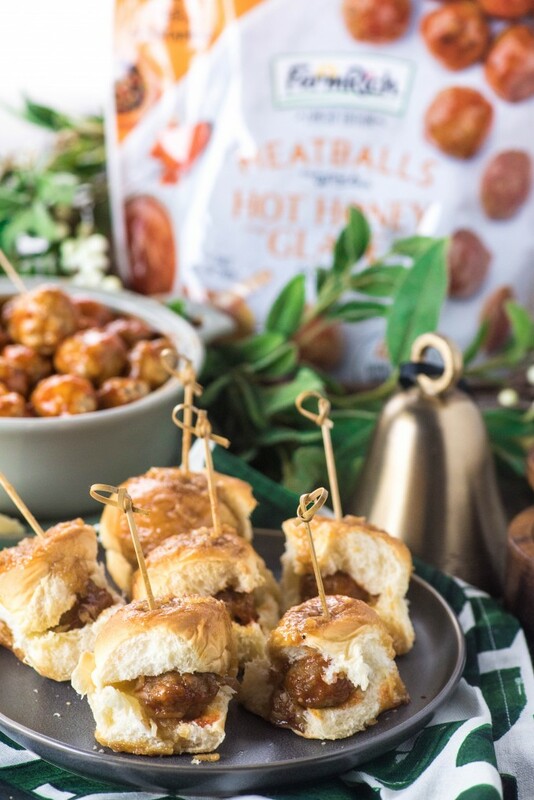 These easy meatball appetizers are perfect for your Thanksgiving and Christmas get togethers, guaranteed to be a hit with every guest! This post is done in partnership with Farm Rich. All comments and opinions are 100% my own. For me, the holidays are about one thing- getting together with the people I hold dear and stuffing our faces together. Yes, yes, peace on earth, and the spirit of giving and all of that. But all of that is just enhanced through a good holiday party appetizer. 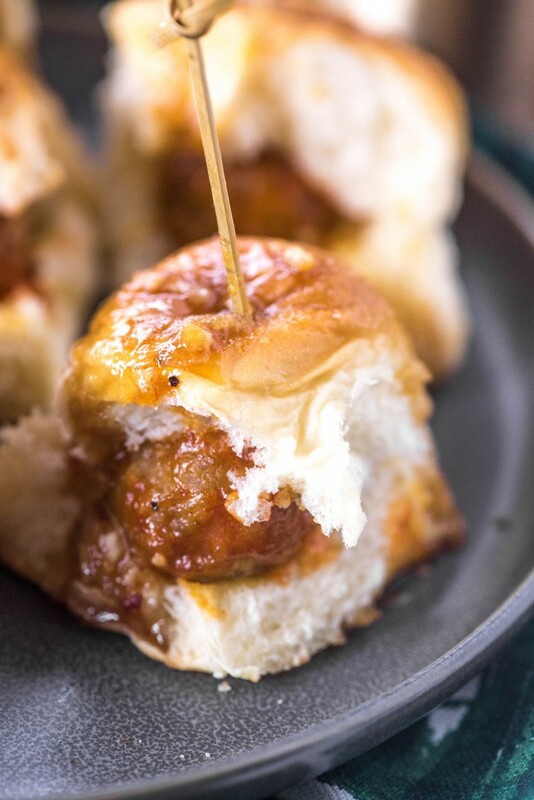 There are a few standbys for a good appetizer recipe- Hawaiian buns for sliders, crescent rolls for wrapping pretty much anything and meatballs- likely simmered in any number of tantalizing sauces. I don’t know about you, but meatballs are always a hit at the get togethers that I go to. Serve them with some festive toothpicks, and they instantly get just a little bit fancier. I’m also a huge believer that things always taste better on a toothpick. I’m partnering with Farm Rich on this post, because if anyone has the “appetize” part of “appetizer” down, it’s them. They have built an empire around their unbelievable snack offerings, which has now trickled out into sauced meatballs and bakery items (their Cinnamon French Toast Sticks? Amazing. The boys eat them in the car on the way to school at least twice a week). I’ve been a huge proponent of Farm Rich products ever since we got our air fryer for Christmas two years ago. 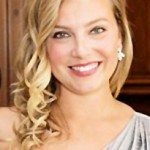 At the time, I was pregnant, and, well… you can see what happened. Safe to say, I’m a fan. But this isn’t about their amazing Mozzarella Sticks (although I could probably go on about those for another few hundred words), its about how they have branched out into sauced meatballs- and for a limited time only! I was really excited when I saw these in the freezer case at my local Walmart. Normally I am a huge proponent of making sauces and accompaniments myself, because I think a lot of ready-made products could be seasoned better. But when it came to these, I knew I was in good hands. I’ve never had anything of theirs that I didn’t think had robust flavor. Both of them sounded great- Grape Chili Sauce and Hot Honey Glaze– so home with me they came. 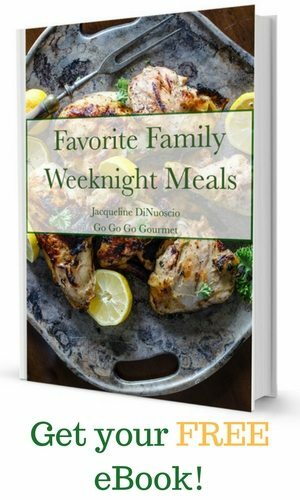 The concept is incredibly simple- a bag of their Homestyle Meatballs, plus a pouch of flavorful sauce. Throw them in the microwave, on the stove or in a slow cooker with sauce and cook until hot. Good to go. However, since I didn’t have to put forth any work in making the meatballs themselves, I decided to have some fun and turn them into a fun holiday appetizer using two things- Hawaiian buns and crescent roll dough. 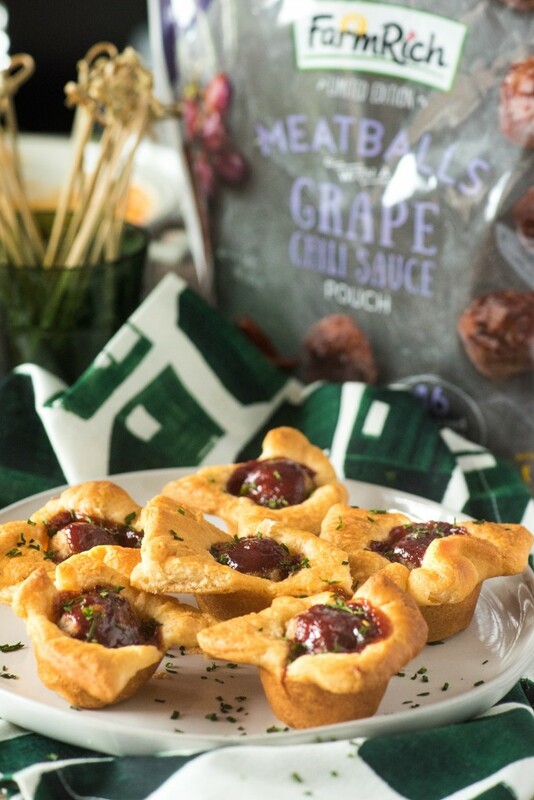 The Meatball Crescent Roll Cups were so incredibly easy- just unroll, smooth out, cut and tuck into a mini muffin pan. The thawed meatballs fit perfectly in there! Then just brush on (or squeeze on) the Grape Chili Sauce, and bake. The cups turned out just like I wanted them, and provided the perfect mess free “cup” for the glazed meatballs. The Spicy Sweet Cocktail Sliders were slightly more involved, but only by a hair. I cut a pocket in each Hawaiian roll, tucked in some shredded pepper jack cheese and a Hot Honey Glazed Meatball. After securing them with a toothpick, I made a simple sweet onion topping, brushed it on, and baked. 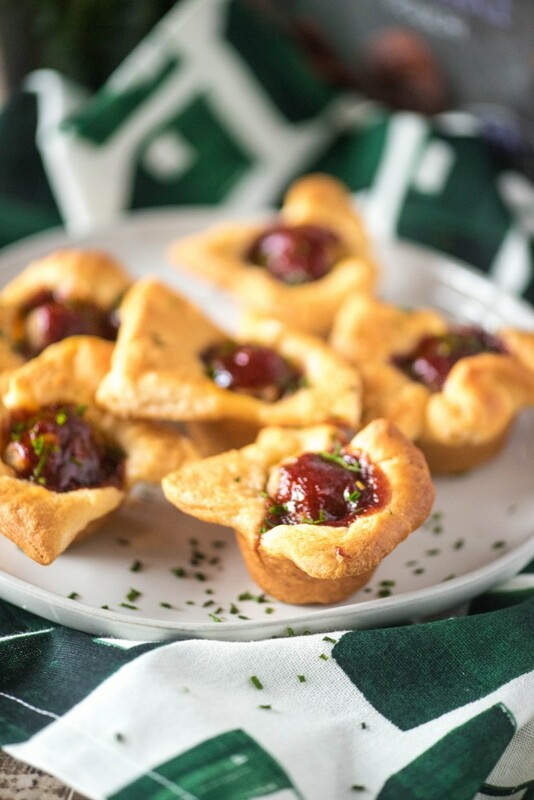 They both turned out incredibly well, and we will definitely be making these as Thanksgiving and Christmas appetizers this year! You can find Limited Edition Sauced Meatballs, and all their snack and appetizer offerings (including new Special Edition Fiesta Chicken Roll Ups and Pimento Cheese Bites!) at major retailers across the country during the busy holiday season! For the crescent cups: Unroll one can of dough and press seams together. Use a rolling pin to smooth out, if necessary. Using a sharp knife or pizza cutter, cut the dough into 12 equal rectangles. Repeat with second can. Open the enclosed pouch of sauce. Snip off the corner and squeeze approximately 1 teaspoon of sauce over top. 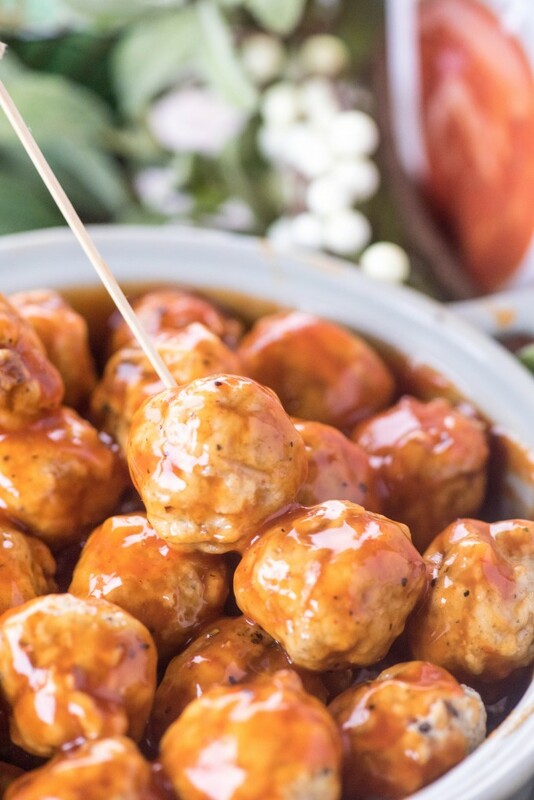 For the sliders: Add the meatballs and glaze to a microwave-safe bowl, and microwave in 30 second intervals, stirring after each, until the meatballs are thawed and the glaze evenly covers them. Take one slider roll and cut 3/4 of the way through. Tuck a rounded tablespoon of shredded cheese in the bottom, then top with a sauced meatball. Close and secure with a toothpick. Repeat with the remaining buns. In a small microwave safe bowl, add the butter, brown sugar, onion and Worcestershire. Microwave for 1 minute and stir together until incorporated. Place assembled sandwiches on baking sheet. Brush the tops of the slider buns with the butter mixture. Bake in preheated oven for 10-15 minutes, until cheese is melted and tops are golden brown.